My most repeated subject on this blog might be cranes. Since I moved to the town, I have not been able to see them, but I hear them, spring and fall. They usually fly high, and can be really hard to spot, even when you hear them. This autumn I have not heard a single one! Until a few days ago, where I happened to be outdoors, heard them and looked up, and I caught a few before they flew out of sight behind the neighbour building. They flew really low for migrating cranes. Extremely late time of the year. Ironically, I was outside to put in the winter tires in the car. Not been able to get help put them on (beyond me these days, due to health, so off to workshop). It is that time of year. 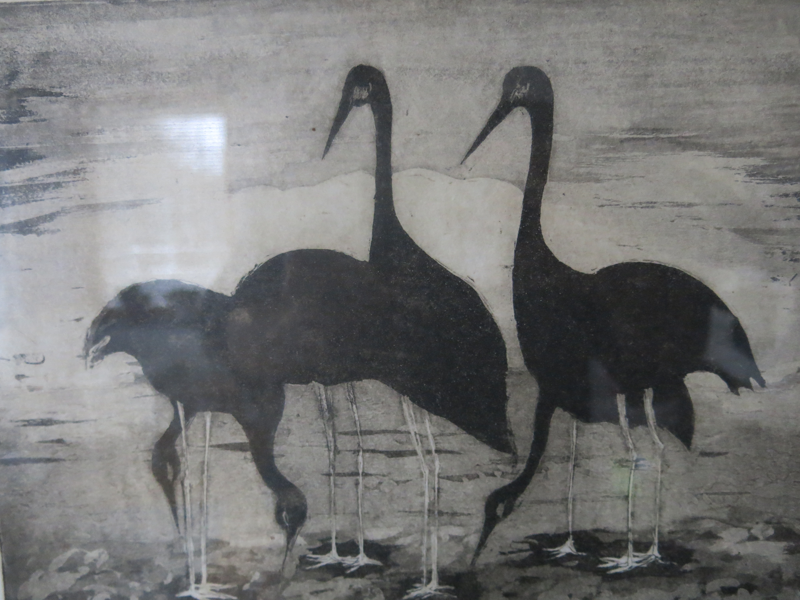 I wrote before about Lake Hornborga, where the cranes gather, especially in spring. But they count them all year. This year it seems they spotted the last ones there on October 9. If one looks at that page, it seems migration south was earlier in 2017 than in most years. It is odd. I have not heard any, and then I hear them this late. Not that all cranes fly south via lake Hornborga, but still. Weird. I heard a few the following day, November 25th, too.